When you think of vintage RVs, the model that comes to mind may be an Airstream, a Shasta, a VW Westfalia conversion van, or maybe even a boxy Ford House Car. It’s possible there are childhood memories of a camper so fabulous that you wish you could find one and restore it and recapture the magic of days gone by. Then again, maybe you were simply driving along when you saw a crazy looking retro camper that caught your eye and you haven’t been able to get it off your mind since. Whatever the reason and whatever the model, you have been feeling the yearning for a vintage RV. Used RV campers are a popular choice for both novice and seasoned RVers at any budget. Prices range from million-dollar bus conversions that are just a couple years old to 30-year old “hunters’ specials” priced just under $3,000. Let’s say you’ve made the decision to buy an RV. Congratulations! 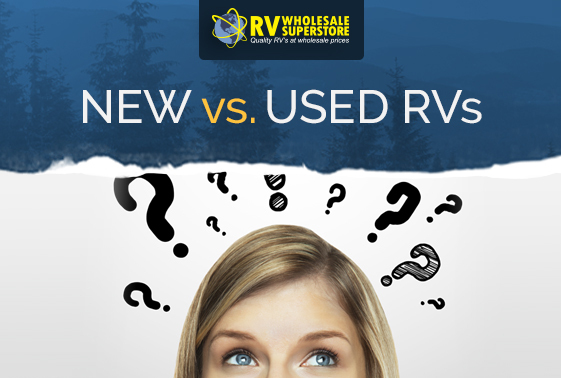 Now you get to make another decision: Should you buy a new RV or a used one? 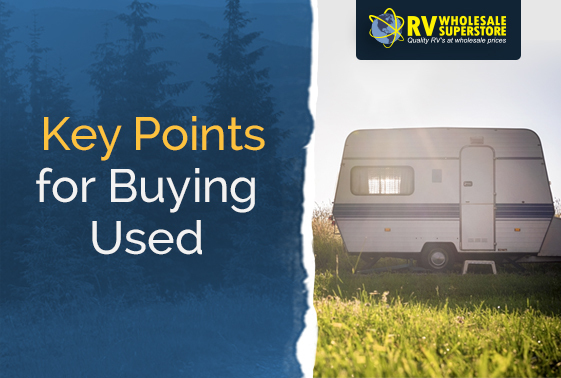 Deciding whether a new or used RV would work best for you depends on your needs and your travel plans. We can’t make that decision for you, but we can help you weigh the pros and cons of each.